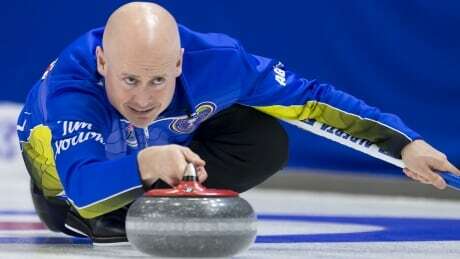 Follow CBC Sports reporter Devin Heroux's live dispatches from Lethbridge, Alta., where he'll be following every move by Canada's Kevin Koe at the 2019 world men's curling championship. 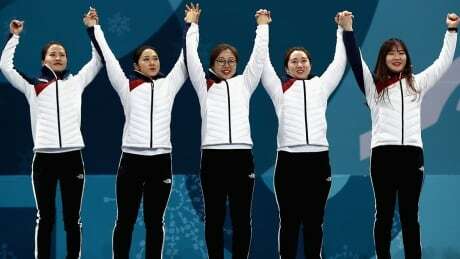 The South Korean women's team earned the country's first-ever Olympic curling medal, becoming rock stars in the process. The team that captivated the home crowd had help from Canadian coach Peter Gallant along the way. 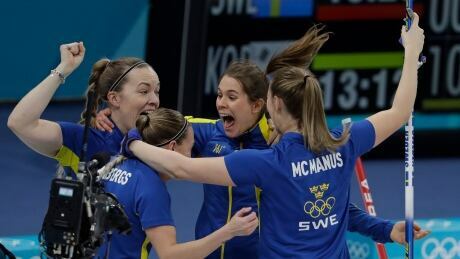 Sweden beat South Korea 8-3 to claim their third women's curling gold medal in four Winter Games on Sunday, ending the 'Garlic Girls' fairytale Olympic run that captivated the home nation. 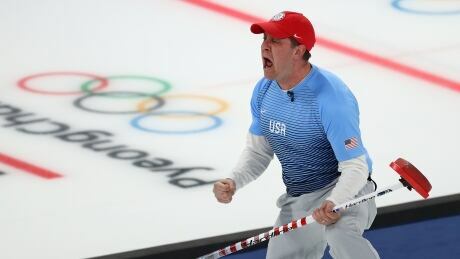 American skip John Shuster's rink won the U.S. its first-ever Olympic curling gold medal Saturday in South Korea. 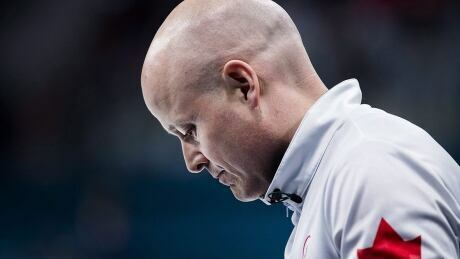 A day after their semifinal defeat to the United States, Koe and his Calgary rink lost Friday's Olympic bronze-medal game 7-5 to Switzerland, meaning Canada will leave the Winter Olympics without a medal in traditional curling for the first time ever. 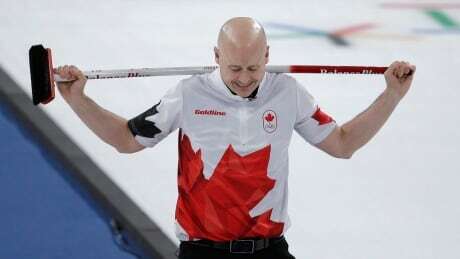 ?For the first time ever, Canada's men's curling team is leaving an Olympic Games without a medal. Canada fell to Switzerland 7-5 in the bronze-medal match Friday in South Korea. 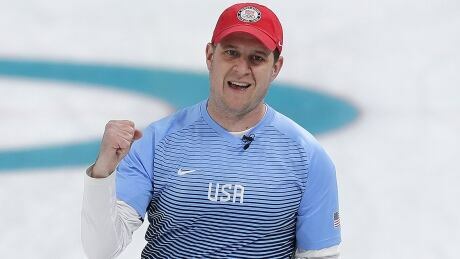 Exactly 38 years to the day that the American men's hockey team stunned the Soviet Union in the gold-medal final, U.S. skip John Shuster pulled off a lesser, but still startling, upset to knock Canada out of curling title contention at the Winter Olympics. 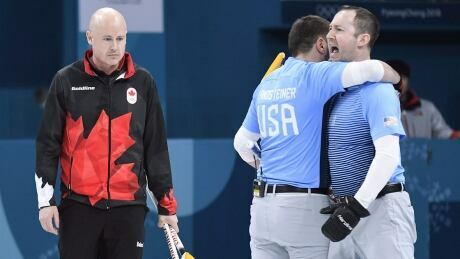 Canada’s gold-medal hopes in men’s curling dashed by U.S.
Canada's run of men's curling gold at the Winter Olympics ended at three Thursday with a 5-3 semifinal loss to American John Shuster in Gangneung, South Korea. 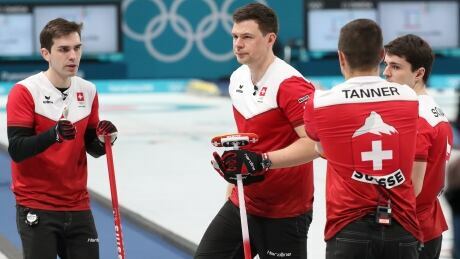 Posted in Sports/Olympics/Pyeongchang 2018/Curling | Comments Off on Canada’s gold-medal hopes in men’s curling dashed by U.S.
Switzerland defeated Great Britain 9-5 in men's curling tiebreaker action on Wednesday to advance to the semifinal against Sweden. 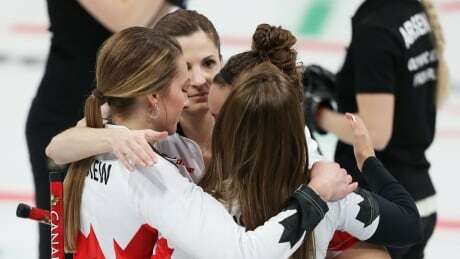 Rachel Homan's Canadian curling rink bounced back from their playoff elimination earlier in the day with a comeback win over the Olympic Athletes from Russia to end their tournament. You are currently browsing the archives for the Sports/Olympics/Pyeongchang 2018/Curling category.